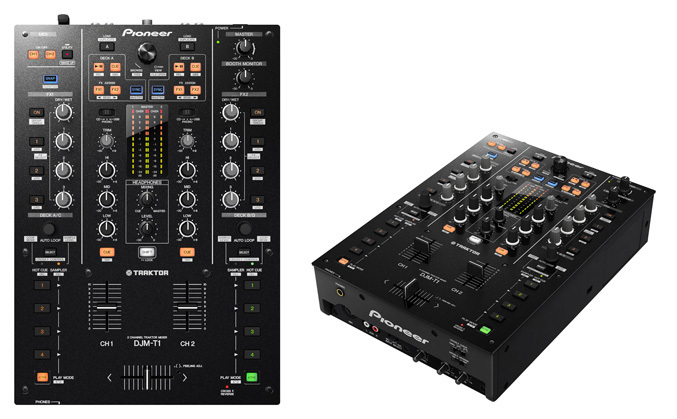 For those who like to remixing music, Pioneer Electronics proposes a new digital mixer, DJM-T1 the first TRAKTOR certified mixer designed specifically to control all of the software’s advanced new features. 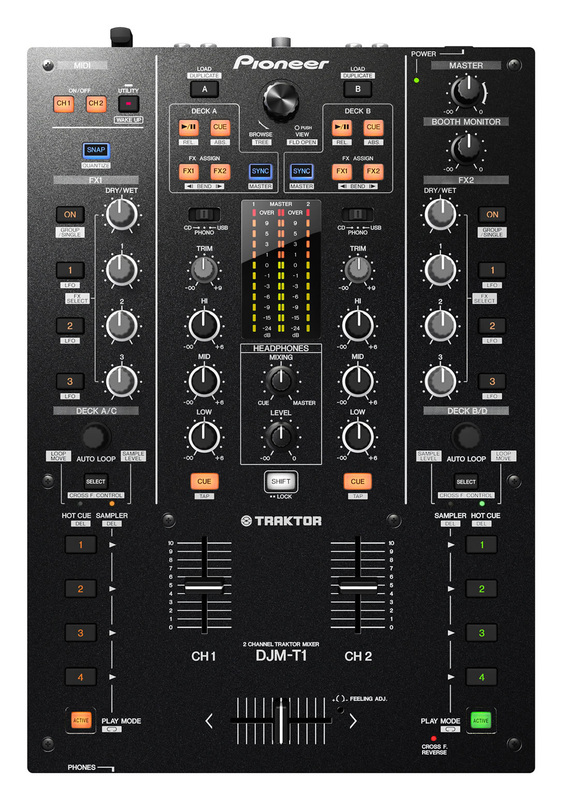 The mixer is equipped with a controller function for the TRAKTOR series, allowing users to directly access TRAKTOR’s software features without the need for an additional external controller or soundcard. It allows DJs to open a pair of Sample Decks and load up to 4 loops or samples in each. DJM-T1 has an onboard soundcard with 24-bit D/A converter and MIDI interface, lets DJs connect to a computer with a single USB cable and record their samples. It also incorporates the company’s new enhanced channel faders which tare more durable hanks to 2 metal shafts supporting the fader knobs. Microphone and AUX terminals located on front of unit for ease of connection during performance. 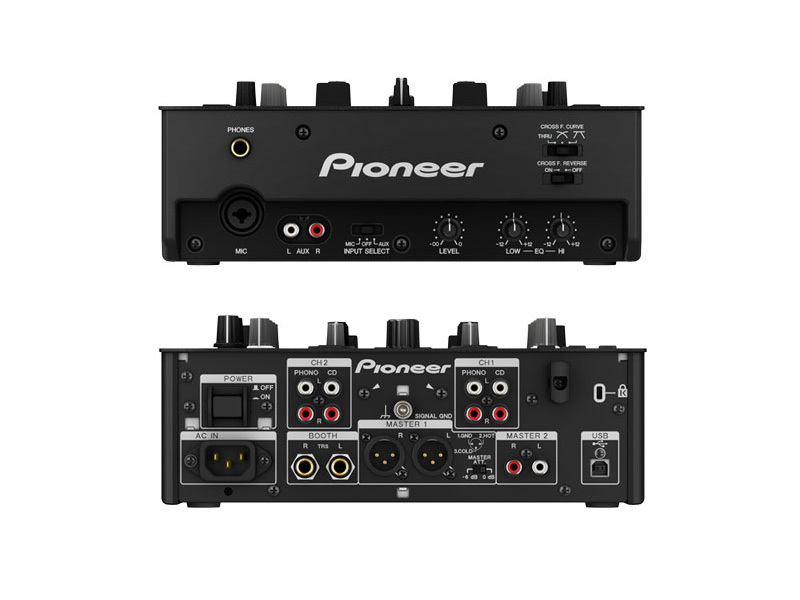 Multi-input selector for effortless switching between CD/PHONO/USB sources. Rubber knobs on ISOLATOR/EFFECT/LOOP give increased control. MIDI signal output for operation of external devices via the FADER/ISOLATOR. Built-in 3-band isolator type equalizer gives level control ranging from +6dB to -?dB for HI/MID/LOW ranges individually. 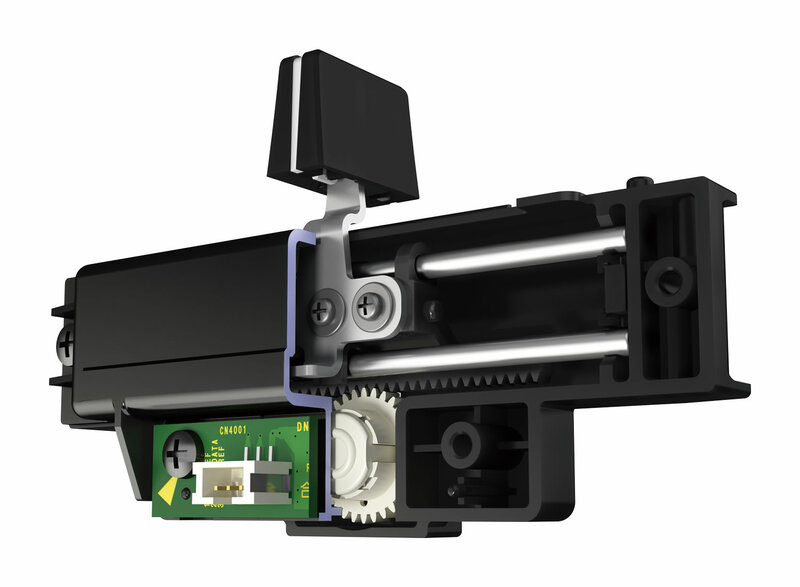 Automatically switches to standby if unit is not used, or there is no input, for a pre-set period of time. 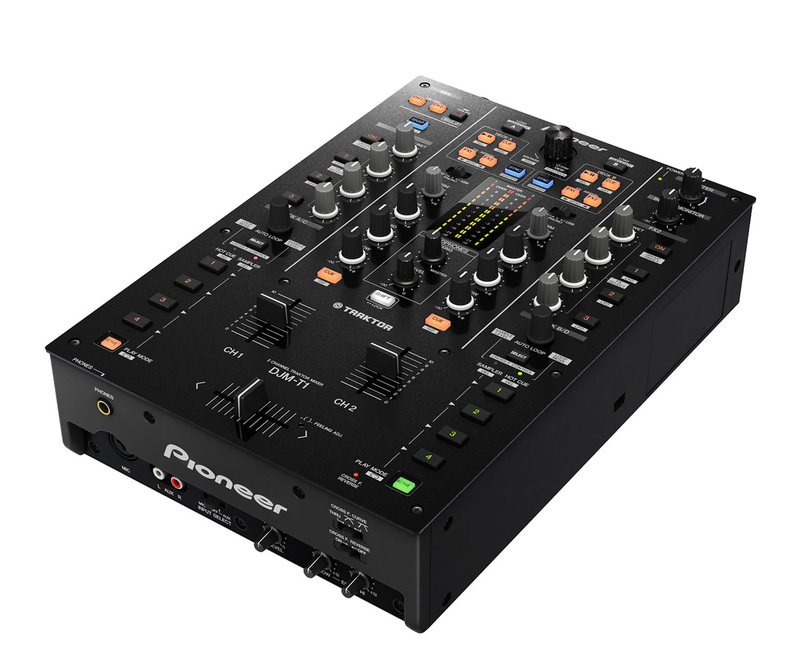 The mixer will be available for purchase from mid July for 1,499 euros.